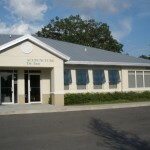 Dr. Yali Fan is a national board certified and Florida licensed Acupuncture Physician. 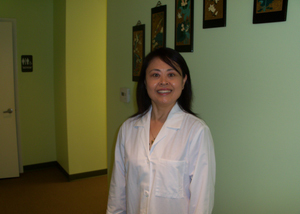 She has practiced and taught (TCM) Traditional Chinese Medicine over 30 years. She Graduated at Shandong University of TCM in China in 1984, where she received her Medical Doctors Degree. Dr. Fan taught at the same University and practiced at the University Hospital for 12 years. She practiced TCM combined with Western Medicine in China. She was promoted to a Dean Doctor and received an award as an Outstanding Professor for her achievements in clinical experience and her excellent teaching abilities. Dr. Fan has practiced and taught in the United States since 1996. She Is the author of six Chinese medical books and dozens of articles. She brought her specialties such as Chinese Therapeutic Massage (Tuina), Chinese Pediatric Tuina and Qigong (Chinese energy healing) to the United States. She is nationally renowned for her books, lectures, and seminars in the U.S.
Dr. Fan practices exclusively Traditional Chinese Medicine, which includes Acupuncture, Tuina Massage, Herbal Medicine, Qigong Healing, and Diet Therapy. Dr. Fan is also good at treating children and people who are afraid of needles by using her special techniques. She is one of the few experts in pediatric Tuina in the United States. We are in-network providers with VA hospital to assist our nation’s veterans with alternative care in the Tampa Bay community. We are in-network providers with Cigna and United and submit off for insurance for you. Please give us a call to see if your insurance plan covers acupuncture. We also accept take Flex Spending accounts. MDOS Billing Pro: A Complete Acupuncture Practice Management and Billing Software. Meet our practitioner, Dr. Yali Fan. Come visit us for a free consultation! Cupping is an ancient technique for many ailments but can be used successfully to help with muscle and pain problems. See how we do cupping massage in our clinic. Learn how we do moxibustion in our clinic. See how we may help to bring your dreams of having a baby come true!